The exquisite detailing on the Caldwell gives you a distinct look while the optional drawer hides all of your accessories away. Matching Shuffleboard available. 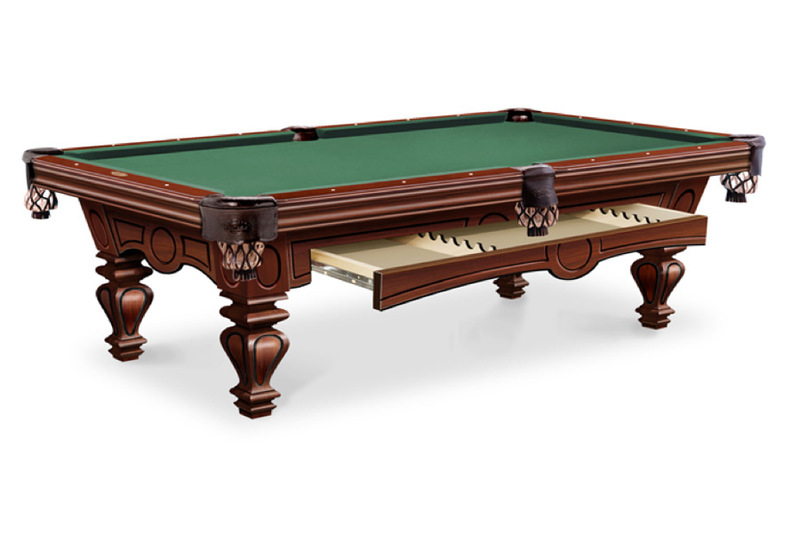 The Caldwell has everything you would expect from a sophisticated, fine furniture pool table. Shown in Cinnamon on Maple.